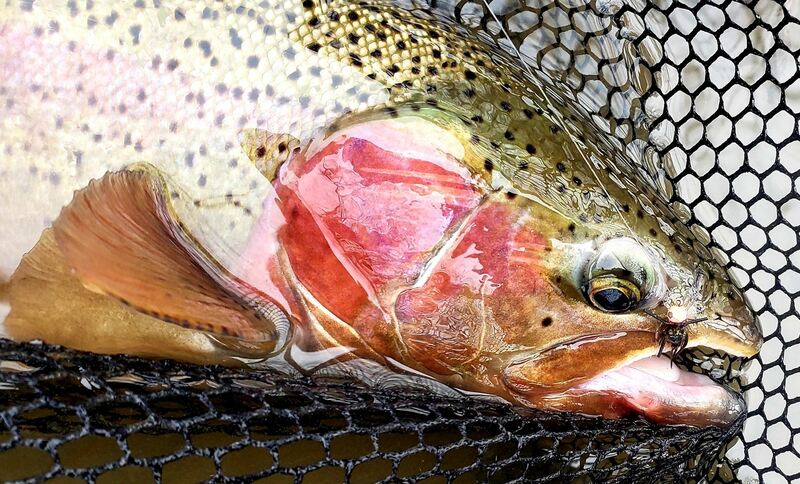 * Check out the photo gallery link in the left column for some nice member fish pics! 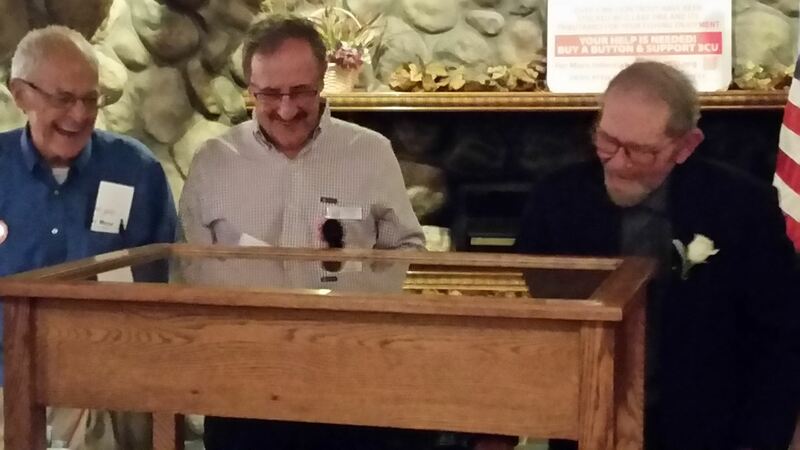 On November 3rd, the PSA held it’s annual Fall Run Banquet at the Colony Banquet and Catering Center. We honored a number of people and organizations that were truly deserving of recognition. 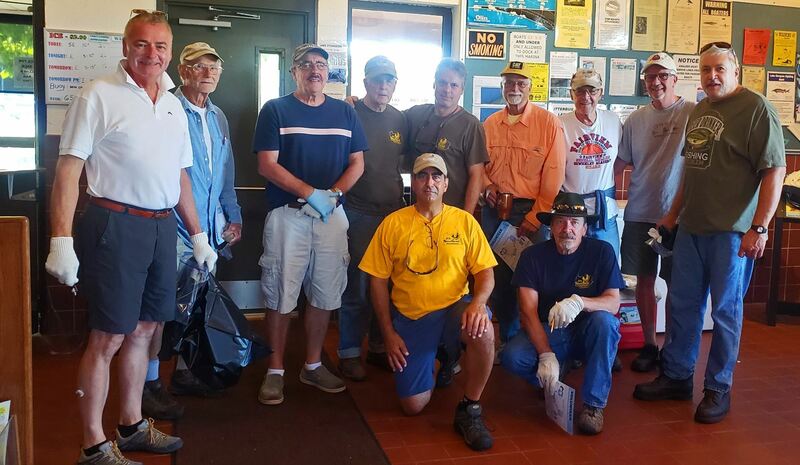 The first groups and individuals honored were part of organizations that have successfully acquired Access for our Steelhead fishery. 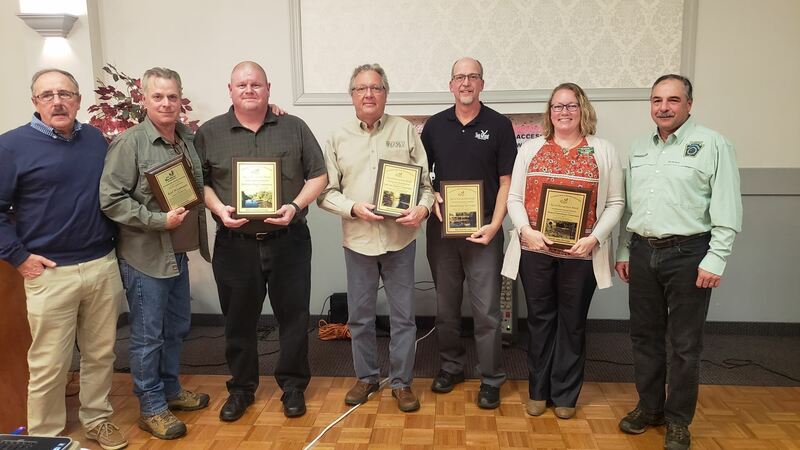 The individuals honored representing these organizations are hard working and dedicated people that are driven by a passion to keep our beautiful streams and lands open to the public. Honored Guest and First District Commissioner of the PFBC, Ed Mascharka, spoke about the herculean job these groups have done to work with and find individuals that would be willing to sell property or easements to the PFBC , the Western Pennsylvania Conservancy and the Lake Erie Region Conservancy. These groups often work with the PFBC to be the Stewards of these properties once maintained. Commissioner Mascharka introduced Dave Skellie, Coastal Land Use & Economic Specialist from Pennsylvania Sea Grant , who along with Tom Cermak, work hand in hand with Scott Bollinger, (Statewide Public Access Program Manager) of the PFBC, contact land owners and start the process of attaining easement or buying land. They then have to procure all the financing and do appraisals, pre and post, to obtaining the lands. 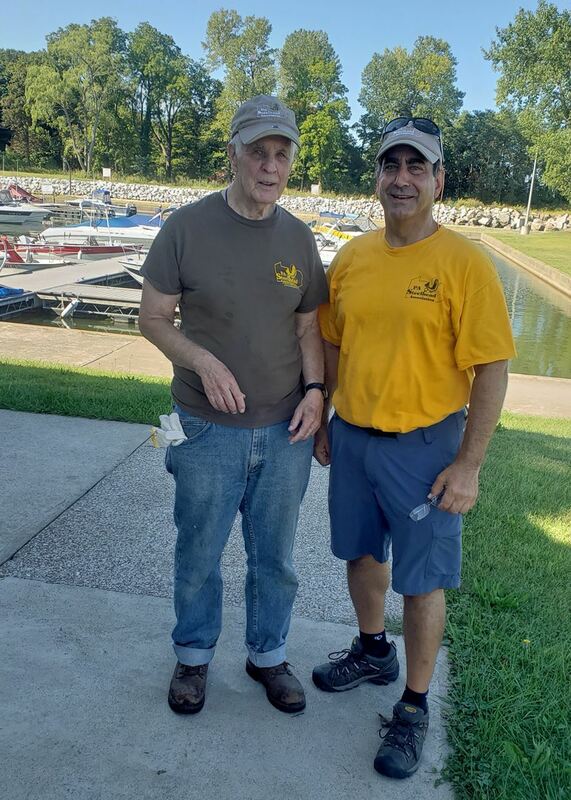 Also instrumental in the procurement of lands are the Lake Erie Region Conservancy who’s Executive Director is long time are public land steward, Tom Fuhrman. Tom has worked on projects like acquiring the land that became The Bluffs State Park! Last to mention, but a group that plays a huge role in both land acquisition and stream restoration projects is the Western Pennsylvania Conservancy and their Watershed Manager for the Upper Allegheny & Lake Erie, Kylie Maland. “The Western PA Conservancy protects and restores exceptional places to provide our region with CLEAN WATERS and healthy forest, wildlife and NATURAL AREAS for the benefit of present and future generations.” Kylie spoke of the many projects in which the Western Pa Conservancy has been involved in Erie county. Included are the Stop Sign Hole at the Walnut Creek Access Area and the ongoing project of stream restoration on the Conservancy property off of North Creek Road above the railroad tubes. 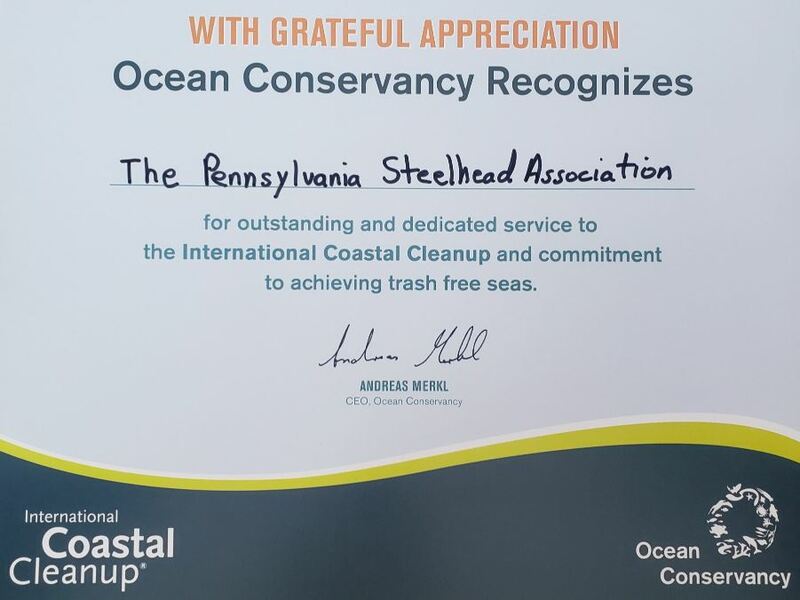 The Pennsylvania Steelhead Association is very appreciative of all their efforts to enhance our fishery and again wishes to say THANK YOU! 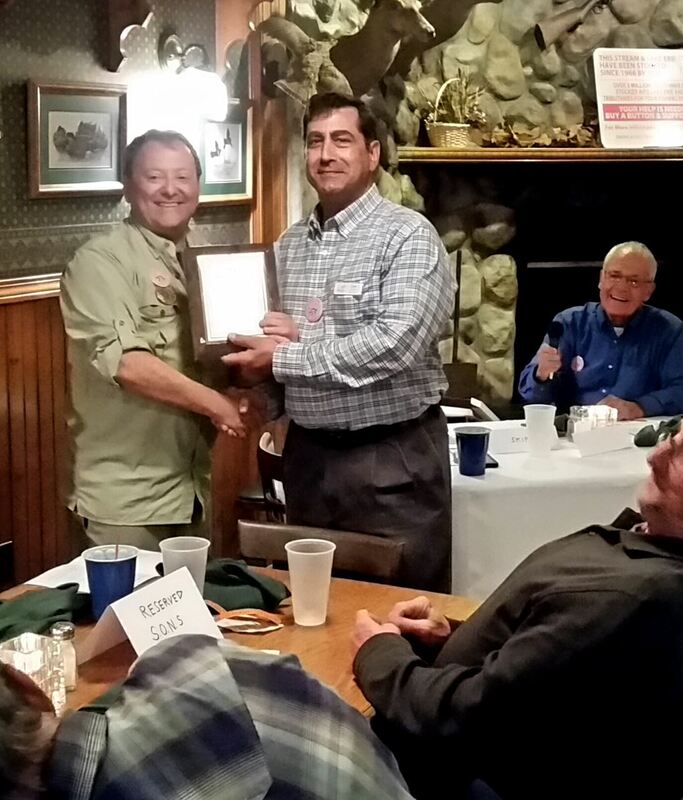 Karl Weixlmann was awarded the PSA Angler Award for 2018! All will be featured in the December 2018 TightLines newsletter! 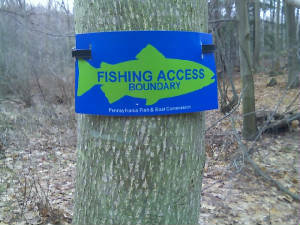 The Pennsylvania Steelhead Association is a nonprofit 501(C)3 organization established to enhance and preserve the Steelhead fishery in Pennsylvania including improving public access for Steelhead fishing, encouraging private landowners to maintain public access for Steelhead fishing, implementing stream enhancement and habitat improvement projects for Steelhead, and assisting nonprofit organizations which operate nurseries for spawning or raising Steelhead, or which acquire land or access easements for Steelhead fishing, or which engage in activities which complement the purposes and activities of the Pennsylvania Steelhead Association. The pages in the Members-only section of the Website are viewable ONLY by PSA Members. The newest TightLines Digital newsletter, the April 2019 issue is now available in the Member-Only Content area along with 48 other older newsletters! Sign in with your email address and Password to access them. 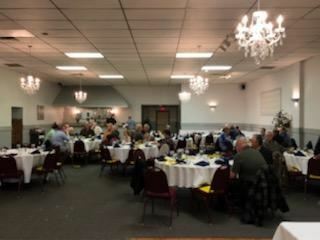 Meetings are typically held at 7:30 pm on the 2nd Wednesday of each month, August through April @ American Legion Post #773, 4109 West 12th Street, Erie, PA. There are no meetings scheduled in May, June, or July. The next meeting is August 14th, 2019! Senate Game & Fisheries committee chair. Senator Dan Laughlin was our guest speaker at the April monthly membership meeting. The Senator is Chair of the Senate Game & Fisheries Committee. He discussed the legislative process, the roles of committees and led a discussion of bills before the House Game & Fisheries Committee. He concluded by graciously answering members questions on some of the bills and issues facing outdoorsman. First off Senator Laughlin revealed he is an avid outdoorsman and hunter. He explained how he gave up opportunities to be on more powerful committees because he is committed to outdoor recreation and activities. There are a number of bills in committee concerning fishing and hunting. The Senator explained how it takes a long time to get bills passed and that there is a lot of back and forth in the process. 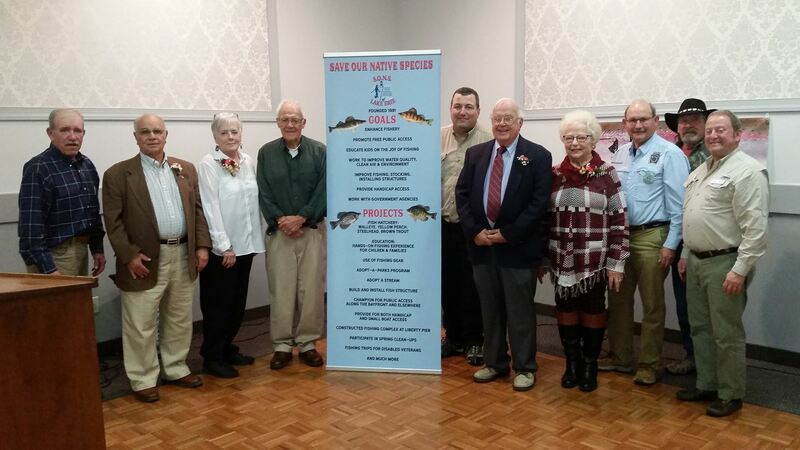 House Bill 584 which includes a waiver on fishing licenses for therapeutic activities. House Bill 617 which would discount licenses for those that teach hunter safety courses. House Bill 752 that would remove the current $400.00 cap per acre for buying land that restricts the Pennsylvania Game Commission. House Bill 929 that would increase resident fishing licenses incrementally over 3 years from $21 to $30, as well as raising the Trout & Salmon permits and non-resident licenses. Senate Bill 315 which would honor veterans and active military with discounted licenses. Senate Bill 377 which would increase Penalty for Killing Bald or Golden Eagles. Senate Bill 147 which would make Sunday hunting legal. Senate Bill 485 authorizing the Sale of Anterless Deer Licenses through the Pennsylvania Automated Licensing System. Senator Laughlin gave his views on many of these bills and asked the membership for input on some of those that would impact fishermen. He also discussed the concerns the legislature has about the number of licenses sold dropping and how a price increase could further impact the totals. The PSA Board of Directors thanks Senator Laughlin for taking the time to attend our meeting and inform us of ongoing issues and how they are being addressed. Craig Lucas - Tionesta/Fairview State Fish Hatchery Manager for the Pennsylvania Fish and Boat Commission gave a presentation of how our Steelhead are raised! February 2019 meeting Program CANCELLED due to weather! Steve has graciously agreed to coming back on August 14th to do his presentation! Former PSA president and Ultimate Angler fly shop owner Steve Brugger will be our program presenter. Steve has a wealth of knowledge in all areas fly fishing. Steve is well versed in casting, presentation, fly tying and many other areas. Steve now lives in the Cleveland area and works for Orvis. 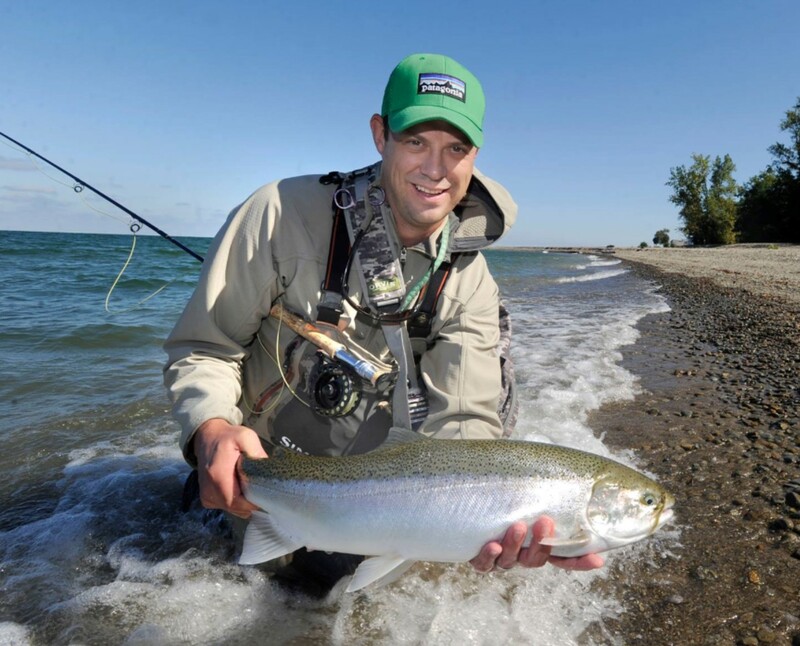 He will discuss fly fishing the Rocky River with a focus on swing tactics! 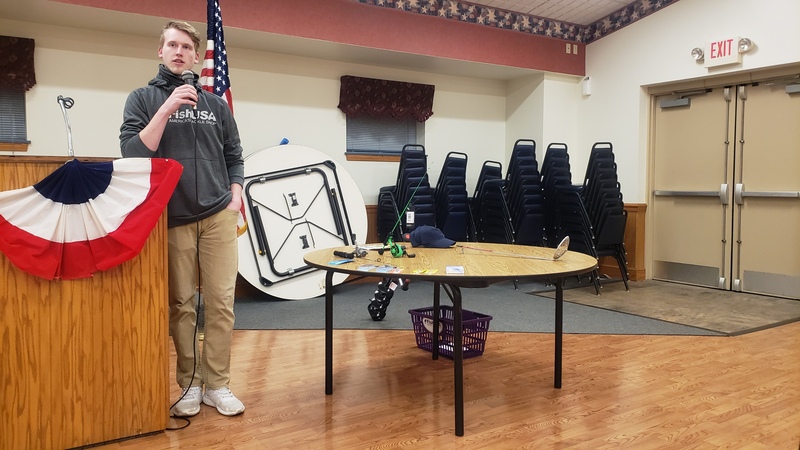 At our January 9th meeting Aaron Benjamin from FishUSA was our speaker and gave a presentation on ice fishing. Aaron is a customer service rep and Product Specialist for FishUSA. 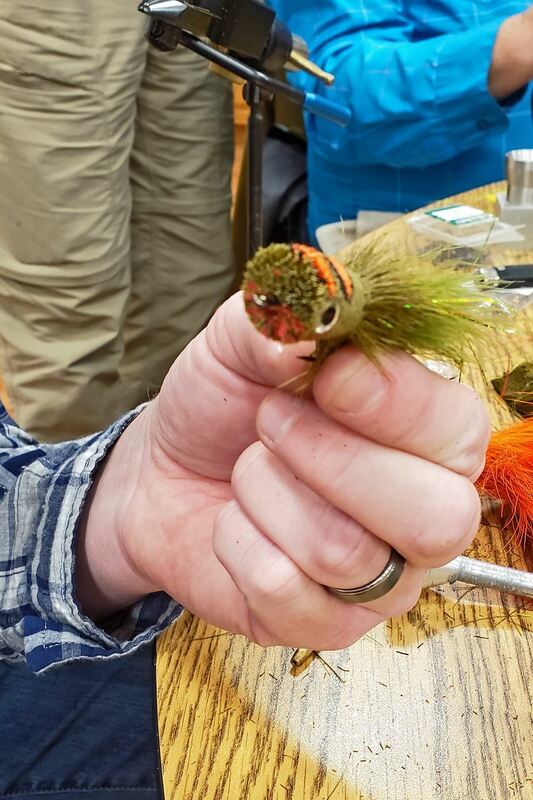 Aaron did a nice presentation on tools, techniques, and new gear for 2019 with a special concentration on targeting the fish of Lake Erie including steelhead. 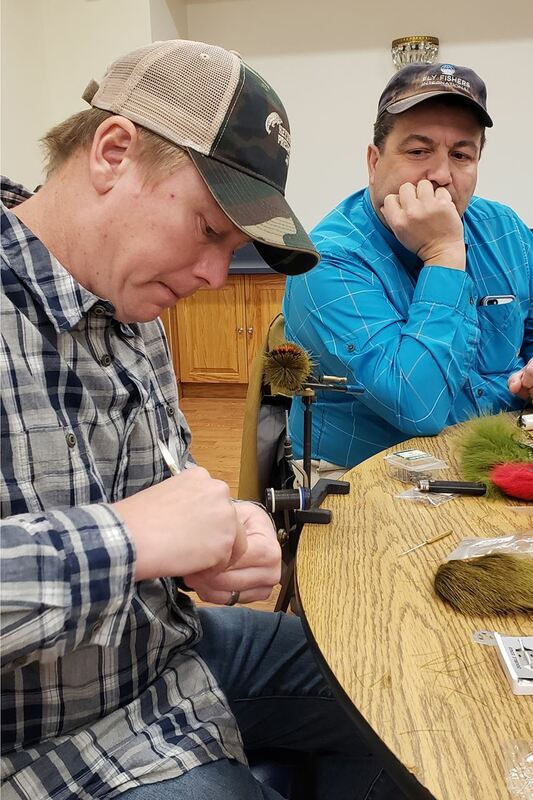 At our December membership meeting, Eric Peterson showed us how to spin, stack & pack deer hair for bass poppers! It was an entertaining and informative presentation! Thanks to Eric for a lesson on how to tie like a pro. 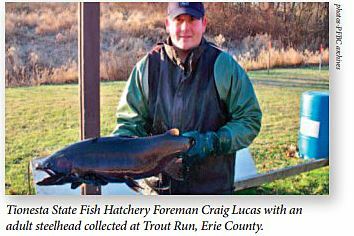 The PA Steelhead Association holds meetings each month except May, June, and July usually at 7:30 pm on the second Wednesday of the month . Meetings are held at the American Legion Post 773. The Legion is located at 4109 West 12th Street (State Route 5), just east of the Erie Airport. We meet in the banquet room to the left when you walk in. Next membership meeting is Wednesday March 13th at 7:30p.m. !